With exceptional slopes a minute walk from your front door and the historical settlement of Megeve just 15 minutes away by foot, Chalet Megeve could not be more spectacularly appointed as a luxurious Alpine retreat. In the Alps region of south-eastern France, Megeve is a traditional town packed with designer boutiques, high-octane restaurants and plenty of options for après-ski in the chic bars that are dotted around the streets. During the summer, the destination is popular for its forest trails, which can be explored on foot or mountain bike, with opportunities for brunch and lunch detours along the routes. With six lavish bedrooms featuring king or queen beds, Chalet Megeve would suit families and groups of friends, while wheelchair accessibility makes it ideal for disabled guests. The accommodation is spread over 300 square metres, with a number of spacious and inviting open-plan areas for impromptu soirees. A vast fireplace is the natural focal point for evenings at home, with vaulted beamed roofs and rustic wooden interiors creating the perfect ambience for rounds of schnapps and family dinners. The sauna and steam room will help to relieve aching muscles and the outdoor jacuzzi and large terrace can be enjoyed all year round. 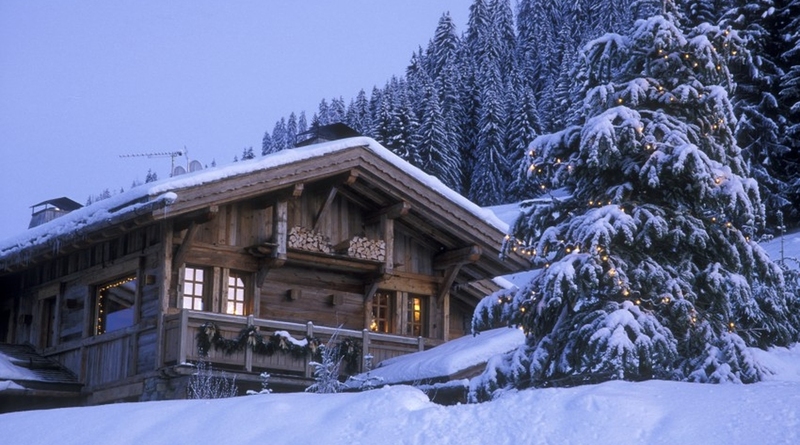 Chalet Megeve is a typical Alpine escape on a grand scale. You can spend your days skiing on pristine snow just outside the chalet, or on numerous runs in the village, before unwinding in the utmost comfort. Tuck your boots and jackets out of sight in the ski room and sip a hot toddy al fresco or curl up next to the roaring fire, surrounded by your loved ones. Prepare leisurely meals at the chalet or take a moonlit stroll on the snow-lined paths to Megeve in the evening, to dine in one of its many lively bistros. Come summer, the hills transform into vast swathes of greenery, providing a beguiling landscape for day-long picnic jaunts. Guest suite with one bedroom (king size bed) and boudoir (2 sofa beds for children), en suite bathroom. Two comfortable bedrooms (twin beds and queen size bed), with en suite bathrooms. Two further bedrooms (king size bed and twin beds), sharing one shower room and separate toilet. Access to gym-sauna, ski room, laundry and garage. Large living room with monumental fireplace. Fully equipped kitchen 'like a chalet within a chalet'. Master suite with dressing room and bathroom, and a fireplace opening onto both suite and bathroom.